A practical and scalable synthetic method to obtain dolutegravir sodium (1) was established starting from the readily accessible material maltol (2). This synthetic method includes a scalable oxidation process of maltol and palladium-catalyzed amidation for introduction of an amide moiety, leading to a practical manufacturing method in short synthetic steps. The synthetic method demonstrated herein enables multikilogram scale manufacturing of 1 of high purity. This article is part of the Japanese Society for Process Chemistry special issue. 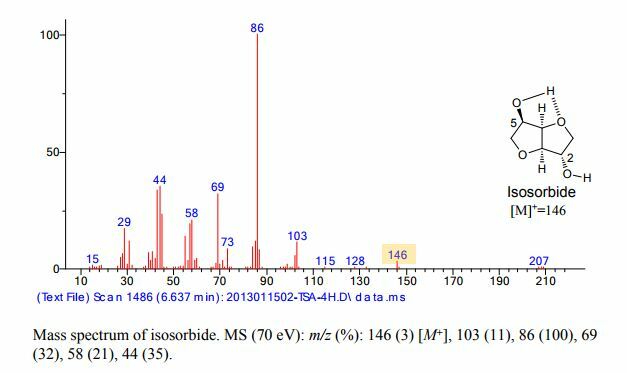 Isosorbide is a diol derived from sorbitol and obtained through dehydration reactions that has raised much interest in the literature over the past few decades. Thus, this platform chemical is a biobased alternative to a number of petrosourced molecules that can find applications in a large number of technical specialty fields, such as plasticizers, monomers, solvents or pharmaceuticals. The synthesis of isosorbide is still a technical challenge, as several competitive reactions must be simultaneously handled to promote a high molar yield and avoid side reactions, like degradation and polymerization. In this purpose, many studies have proposed innovative and varied methods with promising results. 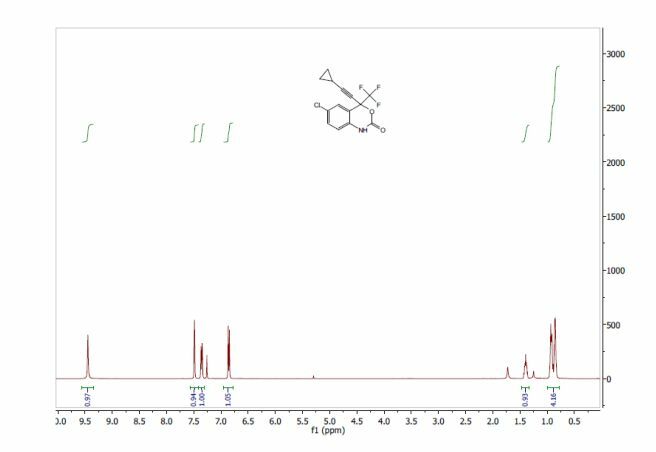 This review gives an overview of the synthesis strategies and catalysts developed to access this very attractive molecule, pointing out both the results obtained and the remaining issues connected to isosorbide synthesis. Up to now, isosorbide has been used to access a large panel of molecules with relevant applicative properties and industrial reality (Scheme 2).12 Isosorbide dinitrate is used since several decades as vasodilator.13, 14 The dimethyl isosorbide is for example used as solvent in cosmetics15-17 and isosorbide diesters18-22 are actually industrially produced and commercialized as surfactants23-27 and PVC plasticizer28, 29 . The rigid scaffold associated to the bifunctionality of the molecule has attracted a strong interest in the field of polymers chemistry. Isosorbide and derivatives have thus been shown as suitable monomers for the industrial production of polycarbonates30, 31, polyesters32-41 or polyamides42-44, with attractive applicative properties. 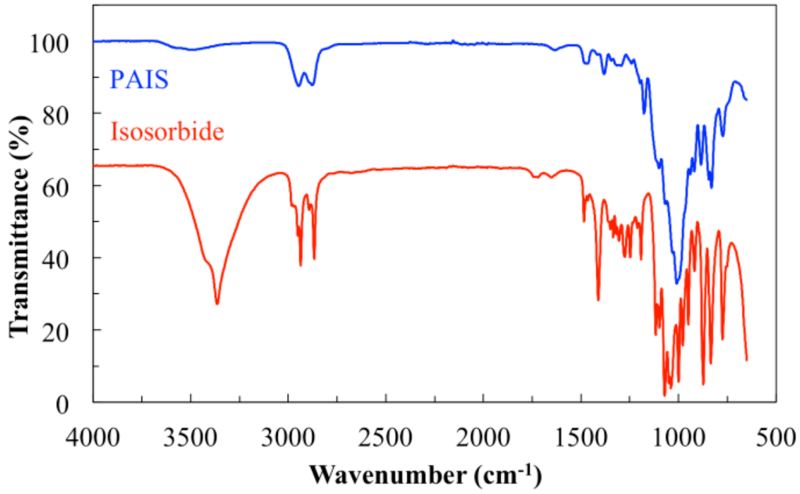 For example, isosorbide allows the increase of Tg, improves the scratch resistance and gives excellent optical properties to polymers. Polyesters and polycarbonates containing isosorbide have now commercial developments in food packaging, spray container, automotive, material for electronic devices … . Isosorbide is a versatile platform molecule that shows key features to make it a credible alternative to petro-based products. The molecule is already available on large industrial scale (tens of thousands tons per years), which allows its development in commercial products such as active pharma ingredient, additive for cosmetic, speciality chemicals and polymers (ex: polycarbonates – polyesters). 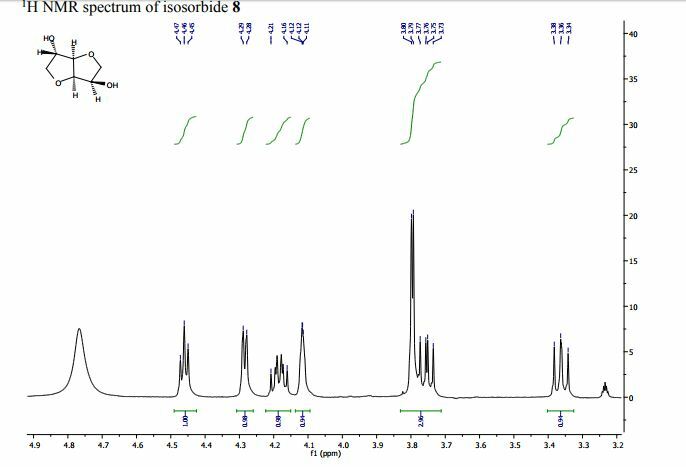 The development of more selective and higher yields syntheses of isosorbide are greatly needed to consolidate isosorbide production in view of a large expansion of its uses. Sorbitol conversion to isosorbide, relying on a starch route, is already a tough challenge. In a farther future, development of a credible path to isosorbide relying on cellulose source could even be thought of, provided that very versatile innovative catalysts will be developed in the next years. In all cases, a key issue is to develop catalysts that will avoid the massive production of “oligomeric/polymeric” by-products in order to access more sustainable processes by limiting the amounts of wastes produced during the synthesis. For this purpose, more selective homogeneous catalysts than the conventional Brønsted acids or alternative reaction conditions would be of strong interest. Selective and recyclable heterogeneous catalysts would be even more profitable as they would allow the continuous production of catalyst free isosorbide. This latter approach faces strong limitations due to the need of high reaction temperatures that often result in high amounts of side-products and the need of frequent and often tedious catalyst regeneration. Innovation concerning isosorbide synthesis is still an open field on which the design of efficient and robust catalysts, either homogeneous or heterogeneous, is a key issue. Such developments would pave the way to high scale effective processes considering altogether synthesis and purification of isosorbide. Isosorbide is a heterocyclic compound that is derived from glucose. Isosorbide and its two isomers, namely isoidide and isomannide, are 1,4:3,6-dianhydrohexitols. It is a white solid that is prepared from the double dehydration of sorbitol. Isosorbide is a non-toxic diolproduced from biobased feedstocks, that is biodegradable and thermally stable. It is used in medicine and has been touted as a potential biofeedstock. An intermediate in the dehydration is the monocycle sorbitan. Isosorbide is used as a diuretic, mainly to treat hydrocephalus, and is also used to treat glaucoma. Other medications are derived from isosorbide, including isosorbide dinitrate and isosorbide mononitrate, are used to treat angina pectoris. Other isosorbide-based medicines are used as osmotic diuretics and for treatment of esophageal varices. Like other nitric oxide donors (see biological functions of nitric oxide), these drugs lower portal pressure by vasodilation and decreasing cardiac output. Isosorbide dinitrate and hydralazineare the two components of the anti-hypertensive drug isosorbide dinitrate/hydralazine (Bidil). 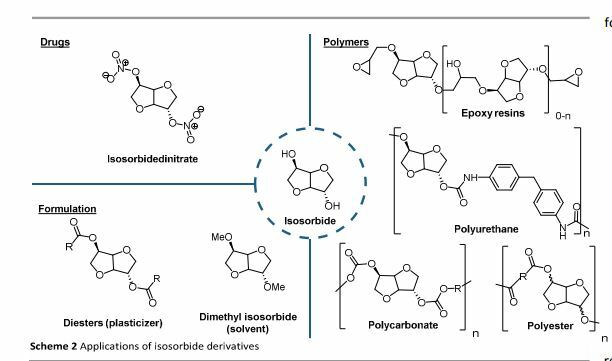 Isosorbide is also used as a building block for bio based polymers such as polyesters. Jump up^ M. Rose, R. Palkovits (2012). “Isosorbide as a Renewable Platform chemical for Versatile Applications—Quo Vadis?”. ChemSusChem. 5 (1): 167–176. PMID 22213713. doi:10.1002/cssc.201100580. Jump up^ Bersot J.C. (2011). “Efficiency Increase of Poly (ethylene terephthalate‐co‐isosorbide terephthalate) Synthesis using Bimetallic Catalytic Systems”. Macromol. Chem. Phys. 212 (19): 2114–2120. doi:10.1002/macp.201100146. 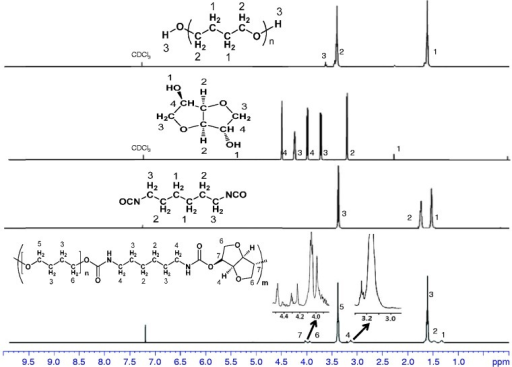 1H Nuclear magnetic resonance (NMR) spectra of PTMG, isosorbide, HDI, and polyurethane.HDI: hexamethylene diisocyanate; PTMG: poly(tetramethylene glycol). Catalytic amount of a nitrogen bicyclic base, i.e., DABCO, DBU and TBD is effective for the one-pot synthesis of heterocycles from 1,4-, 1,5-diols and 1,4-bifunctional compounds via dimethyl carbonate chemistry under neat conditions. Nitrogen bicyclic bases, that previously showed to enhance the reactivity of DMC in methoxycarbonylation reaction by BAc2 mechanism, are herein used for the first time as efficient catalysts for cyclization reaction encompassing both BAc2 and BAl2 pathways. This synthetic procedure was also applied to a large scale synthesis of cyclic sugars isosorbide and isomannide starting from D-sorbitol and D-mannitol, respectively. The resulting anhydro sugar alcohols were obtained as pure crystalline compounds that did not require any further purification or crystallization. Larger scale synthesis of isosorbide: In a round bottom flask equipped with a reflux condenser, D-sorbitol (0.05 mol, 1.00 mol. eq. 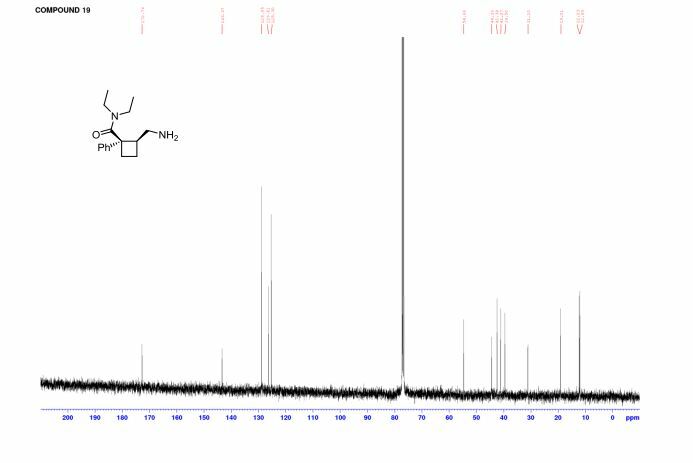 ), DMC (0.44 mol, 8.00 mol. eq. ), DBU (2.70 mmol, 0.05 mol. eq.) and MeOH (20.00 mL) were heated at reflux while stirring. The progress of the reaction was monitored by NMR. After 48 hours the reaction was stopped, cooled at room temperature and the mixture was filtered over Gooch n°4. Finally, DMC was evaporated under vacuum and the product was obtained as pure in 98% yield (7.90 g, 0.05 mol). 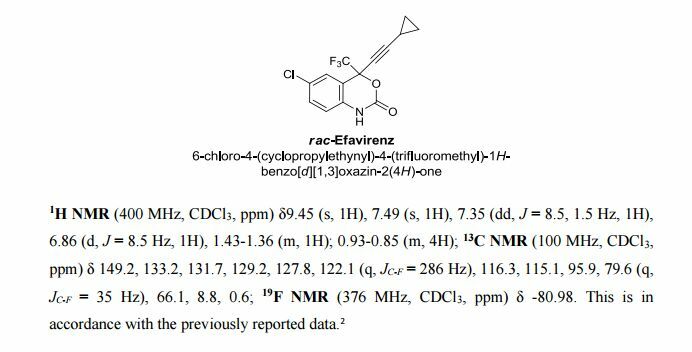 Characterization data were consistent with those obtained for the commercially available compound. Fundamental elements of process intensification were applied to generate efficient batch and continuous syntheses of the high-volume HIV drug nevirapine. Access to affordable medications continues to be one of the most pressing issues for the treatment of disease in developing countries. For many drugs, synthesis of the active pharmaceutical ingredient (API) represents the most financially important and technically demanding element of pharmaceutical operations. Furthermore, the environmental impact of API processing has been well documented and is an area of continuing interest in green chemical operations. To improve drug access and affordability, we have developed a series of core principles that can be applied to a specific API, yielding dramatic improvements in chemical efficiency. We applied these principles to nevirapine, the first non-nucleoside reverse transcriptase inhibitor used in the treatment of HIV. 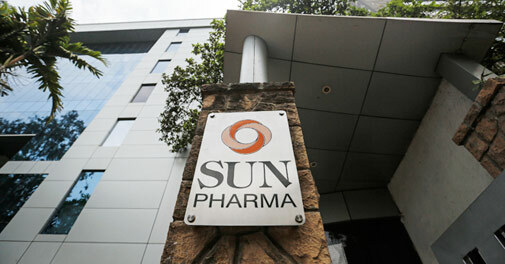 The resulting ultra-efficient (91% isolated yield) and highly-consolidated (4 unit operations) route has been successfully developed and implemented through partnerships with philanthropic entities, increasing access to this essential medication. We anticipate an even broader global health impact when applying this model to other active ingredients. Preparation of CYCLOR (7), Step 1A: To a solution of CAPIC (2, 15 g, 105 mmole, 1.0 equiv) in diglyme (75 mL) in a 500 mL 3-neck round-bottom flask fitted with overhead stirrer, thermocouple, and addition funnel was added NaH (7.56g, 189 mmole, 1.8 equiv). The reaction mixture was stirred at room temperature for 30 minutes and gradual evolution of H2 gas was observed. The temperature of the reaction mixture was slowly increased to 60 °C (10 °C/hr increments). A preheated (55 °C) solution of MeCAN (5, 21.19 g, 192.2 mmol, 1.05 equiv) in diglyme (22.5 mL) was added over a period of an hour to the reaction mixture kept at 60 °C. The reaction mixture was allowed to stir at 60 °C for 2 hours. If desired, 7 may be isolated at this stage. The reaction mixture is cooled to 0 – 10 °C and the pH is adjusted to pH 7-8 using glacial acetic acid and stirred for an hour. The precipitate is collected by vacuum filtration and dried under vacuum to a constant weight to afford CYCLOR (7) (29.89g, 94%). 1H NMR (300MHz, CHLOROFORM-d)  = 8.44 (dd, J = 1.8, 5.3 Hz, 1 H), 8.21 (d, J = 4.7 Hz, 1 H), 8.15 (br. s., 1 H), 7.87 (dd, J = 2.1, 7.9 Hz, 1 H), 7.54 (s, 1 H), 7.20 (d, J = 5.3 Hz, 1 H), 6.66 (dd, J = 4.7, 7.6 Hz, 1 H), 2.95 – 2.84 (m, 1 H), 2.35 (s, 3 H), 0.91 – 0.77 (m, 2 H), 0.62 – 0.47 (m, 2 H). 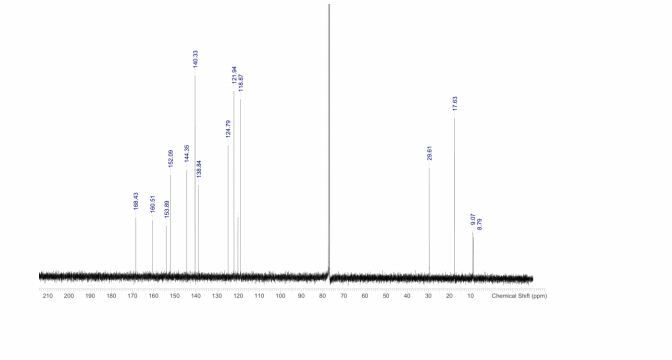 13C NMR (75MHz, CHLOROFORM-d)  = 166.8, 159.2, 153.2, 148.3, 146.9, 136.0, 129.9, 125.1, 111.1, 108.4, 77.4, 76.6, 23.8, 18.8, 7.0. HRMS (ESI) C15H15ClN4O m/z [M+H] + found 303.0998, expected 303.1012. Preparation of nevirapine (1), Step 1B: In a 150 mL, 3 neck flask, fitted with overhead stirrer, thermocouple and addition funnel, a suspension of NaH (7.14 g, 178.5 mmol, and 1.7 equiv) in diglyme (22.5 ml) was heated to 105 °C and crude CYCLOR (7) reaction mixture from Step 1 (preheated to 80 °C) was added over a period of 30 minutes while maintaining the reaction mixture at 115 °C. The reaction mixture was stirred for 2 hours at 117 °C for ~2 hours then cooled to room temperature. Water (30 mL) was added to quench the excess sodium hydride and the reaction was concentrated in vacuo to remove 60 mL of diglyme. To the resulting suspension was added water (125 mL), cyclohexane (50 mL) and ethanol (15 mL). The pH of the mixture was adjusted to pH 7 using glacial acetic acid (19.5 g, 3.09 mmol) at which precipitate formed. After stirring for 1 hour at 0 °C, the precipitate was collected via vacuum filtration and the filter cake was washed with ethanol: water (1:1 v/v) (2 x 20 mL). The solid was dried between 90-110°C under vacuum to provide nevirapine (25.4 g, 91% over two steps). 1H NMR (400MHz, CDCl3)  = 8.55 (dd, J = 2.0, 4.8 Hz, 1 H), 8.17 (d, J = 5.0 Hz, 1 H), 8.13 (dd, J = 2.0, 7.8 Hz, 1 H), 7.61 (s, 1 H), 7.08 (dd, J = 4.8, 7.8 Hz, 1 H), 6.95 (dd, J = 0.6, 4.9 Hz, 1 H), 3.79 (tt, J = 3.6, 6.8 Hz, 1 H), 2.37 (s, 3 H), 1.07-0.93 (m, 2 H), 0.59-0.50 (m, 1 H), 0.50-0.41 (m, 1 H). 13C NMR (101MHz, CDCl3)  = 168.4, 160.5, 153.9, 152.1, 144.3, 140.3, 138.8, 124.8, 121.9, 120.1, 118.9, 29.6, 17.6, 9.1, 8.8. HRMS (ESI) C15H14N4O m/z [M+H] + found 267.1239, expected 267.1245. Purification of nevirapine. To a cooled (0 °C) suspension of nevirapine (10g, 375.5 mmole) in water (43 ml) was added a 10 M solution of HCl (11.6 ml, 117.5 mmole) dropwise. The solution was allowed to stir for 30 minutes and activated carbon (0.3g) was added. After stirring for 30 minutes, the solution was filtered over Celite. The filtrate was transferred to flask and cooled to 0 °C. A 50% solution of NaOH was added dropwise until a pH of 7 is reached. A white precipitate appeared and the solution was stirred for 30 minutes and filtered. The solid was washed with water (3 x 10ml). The wet cake was dried between 90-110°C under vacuum to a constant weight to provide nevirapine (9.6 g, 96%). Production workers in continuous production commonly work in rotating shifts. Processes are operated continuously for practical as well as economic reasons. Most of these industries are very capital intensive and the management is therefore very concerned about lost operating time. Shutting down and starting up many continuous processes typically results in off quality product that must be reprocessed or disposed of. Many tanks, vessels and pipes cannot be left full of materials because of unwanted chemical reactions, settling of suspended materials or crystallization or hardening of materials. Also, cycling temperatures and pressures from starting up and shutting down certain processes (line kilns, boilers, blast furnaces, pressure vessels, etc.) may cause metal fatigue or other wear from pressure or thermal cycling. In the more complex operations there are sequential shut down and start up procedures that must be carefully followed in order to protect personnel and equipment. Typically a start up or shut down will take several hours. Continuous processes use process control to automate and control operational variables such as flow rates, tank levels, pressures, temperatures and machine speeds. Many processes such as assembly lines and light manufacturing that can be easily shut down and restarted are today considered semi-continuous. These can be operated for one or two shifts if necessary. The oldest continuous flow processes is the blast furnace for producing pig iron. The blast furnace is intermittently charged with ore, fuel and flux and intermittently tapped for molten pig iron and slag; however, the chemical reaction of reducing the iron and silicon and later oxidizing the silicon is continuous. Semi-continuous processes, such as machine manufacturing of cigarettes, were called “continuous” when they appeared. 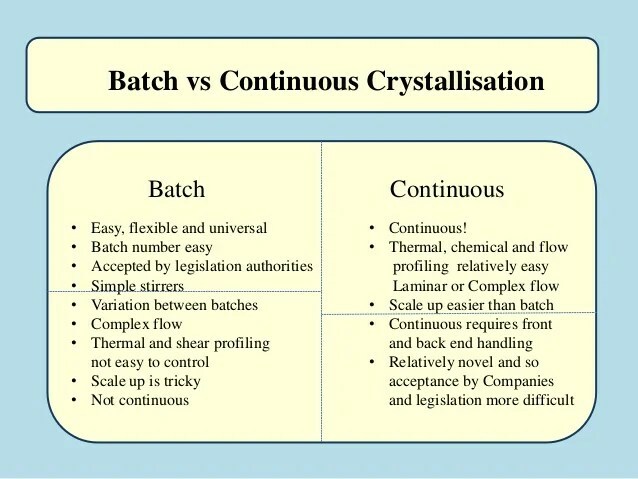 Many truly continuous processes of today were originally batch operations. The Fourdrinier paper machine, patented in 1799, was one of the earliest of the industrial revolution era continuous manufacturing processes. It produced a continuous web of paper that was formed, pressed, dried and reeled up in a roll. Previously paper had been made in individual sheets. Another early continuous processes was Oliver Evans‘es flour mill (ca. 1785), which was fully automated. Early chemical production and oil refining was done in batches until process control was sufficiently developed to allow remote control and automation for continuous processing. Processes began to operate continuously during the 19th century. By the early 20th century continuous processes were common. In addition to performing maintenance, shut downs are also when process modifications are performed. These include installing new equipment in the main process flow or tying-in or making provisions to tie-in sub-processes or equipment that can be installed while the process is operating. Shut-downs of complicated processes may take weeks or months of planning. Typically a series of meetings takes place for co-ordination and planning. These typically involve the various departments such as maintenance, power, engineering, safety and operating units. All work is done according to a carefully sequenced schedule that incorporates the various trades involved, such as pipe-fitters, millwrights, mechanics, laborers, etc., and the necessary equipment (cranes, mobile equipment, air compressors, welding machines, scaffolding, etc.) and all supplies (spare parts, steel, pipe, wiring, nuts and bolts) and provisions for power in case power will also be off as part of the outage. Often one or more outside contractors perform some of the work, especially if new equipment is installed. Safety meetings are typically held before and during shutdowns. Other safety measures include providing adequate ventilation to hot areas or areas where oxygen may become depleted or toxic gases may be present and checking vessels and other enclosed areas for adequate levels of oxygen and insure absence of toxic or explosive gases. Any machines that are going to be worked on must be electrically disconnected, usually through the motor starter, so that it cannot operate. It is common practice to put a padlock on the motor starter, which can only be unlocked by the person or persons who is or are endangered by performing the work. Other disconnect means include removing couplings between the motor and the equipment or by using mechanical means to keep the equipment from moving. Valves on pipes connected to vessels that workers will enter are chained and locked closed, unless some other means is taken to insure that nothing will come through the pipes. 19F NMR (376 MHz, CDCl3, ppm) δ -80.98. 1 T. J. Connolly; A. W.-Y Chan; Z. Ding; M. R. Ghosh; X. Shi; J. Ren, E. Hansen; R. Farr; M. MacEwan; A. Alimardanov; et al, PCT Int. Appl. WO 2009012201 A2 20090122, 2009. 2 (a) Z. Dai, X. Long, B. Luo, A. Kulesza, J. Reichwagen, Y. Guo, (Lonza Ltd), PCT Int. Appl. WO2012097510, 2012; (b) D. D. Christ; J. 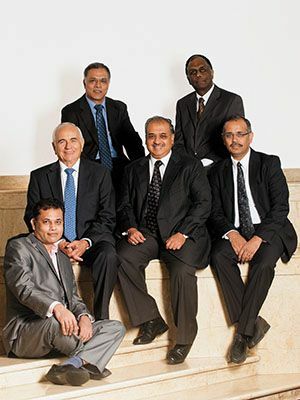 A. Markwalder; J. M. Fortunak; S. S. Ko; A. E. Mutlib; R. L. Parsons; M. Patel; S. P. Seitz, PCT Int. Appl. WO 9814436 A1 19980409, 1998 (c) C. A. Correia; D. T. McQuade; P. H. Seeberger, Adv. Synth. Catal. 2013, 355, 3517−3521. ( Angew. Chem., Int. Ed. 2015,54, 4945−4948). 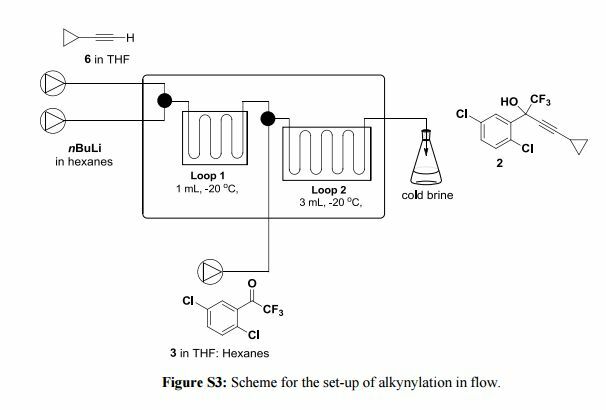 The synthesis of 2-(2′-hydroxy-5′-methylphenyl)benzotriazole from 2-nitro-2′-hydroxy-5′-methylazobenzene over Pd/γ-Al2O3 in a fixed-bed reactor was investigated. Pd/γ-Al2O3 catalysts were prepared by two methods and characterized by XRD, TEM, H2-TPR, and N2 adsorption–desorption. Employed in the above reaction, the palladium catalyst impregnated in hydrochloric acid exhibited much better catalytic performance than that impregnated in ammonia–water, which was possibly attributed to the better dispersion of palladium crystals on γ-Al2O3. This result demonstrated that the preparation process of the catalyst was very important. Furthermore, the reaction parameters were optimized. Under the optimized conditions (toluene, NAB/triethylamine molar ratio 1:2, 60 °C, 2.5 MPa hydrogen pressure, 0.23 h–1 liquid hourly space velocity), about 90% yield of 2-(2′-hydroxy-5′-methylphenyl)benzotriazole was obtained. 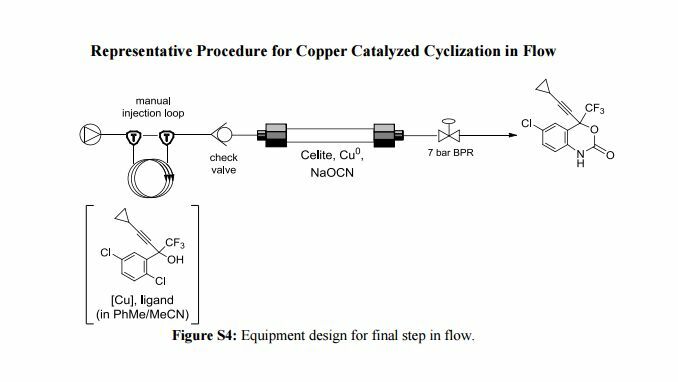 Finally, the time on stream performance of the catalyst was evaluated, and the reaction could proceed effectively over 200 h without deactivation of the catalyst. 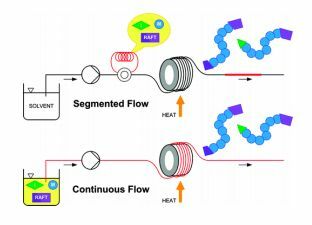 A new enabling technology for the pumping of organometallic reagents such as n-butyllithium, Grignard reagents, and DIBAL-H is reported, which utilises a newly developed, chemically resistant, peristaltic pumping system. Several representative examples of its use in common transformations using these reagents, including metal–halogen exchange, addition, addition–elimination, conjugate addition, and partial reduction, are reported along with examples of telescoping of the anionic reaction products. This platform allows for truly continuous pumping of these highly reactive substances (and examples are demonstrated over periods of several hours) to generate multigram quantities of products. 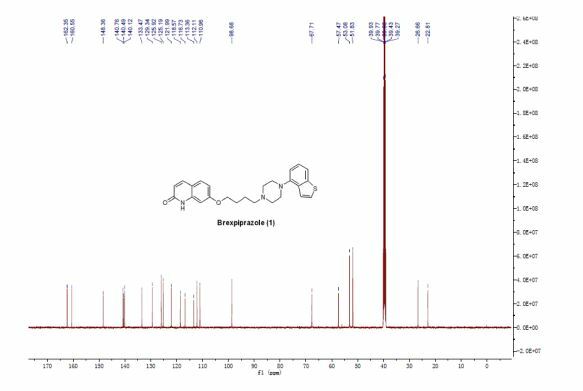 This work culminates in an approach to the telescoped synthesis of (E/Z)-tamoxifen using continuous-flow organometallic reagent-mediated transformations. 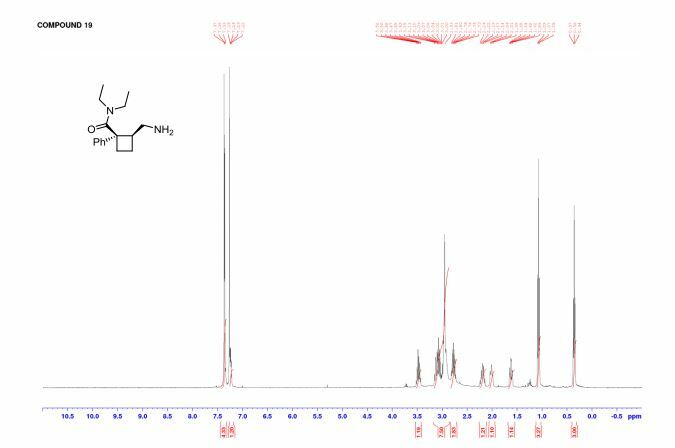 A versatile multi-step continuous flow synthesis for the preparation of substituted pyrazoles is presented. The automated synthesis utilises a metal-free ascorbic acid mediated reduction of diazonium salts prepared from aniline starting materials followed by hydrolysis of the intermediate hydazide and cyclo-condensation with various 1,3-dicarbonyl equivalents to afford good yields of isolated functionalised pyrazole products. The synthesis of the COX-2 selective NSAID was demonstrated using this approach. Continuous flow methodologyhas been used to enhance several steps in the synthesis of a precursor to Sacubitril. Cyclohexaneperoxycarboxylic acid (6, has been developed as a safe, inexpensive oxidant, with demonstrated utility in a Baeyer−Villiger rearrangement.34 Solutions of cyclohexanecarboxylic acid in hexane and 50% aqueous H2O2 were continuously added to 45% H2SO4 at 50−70 °C and slightly reduced pressure. The byproduct H2O was removed azeotropically, and the residence time in the reactor was 3 h. Processing was adjusted to maintain a concentration of 6 at 17−19%, below the detonable level, and the product was kept as a stable solution in hexane. These operations enhanced the safety margin in preparing 6. 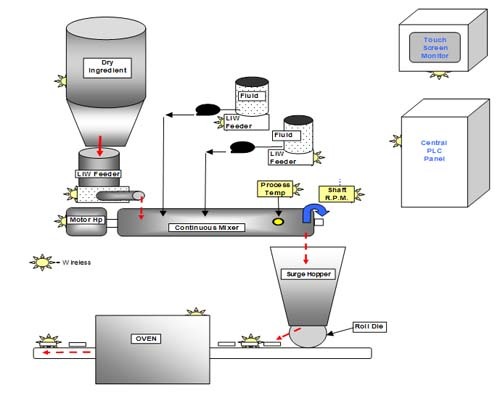 The conversion of a batch process to continuous (flow) operation has been investigated. The manufacture of 4,d-erythronolactone at kilogram scale was used as an example. Fully continuousprocessing was found to be impracticable with the available plant because of the difficulty in carrying out a multiphase isolation step continuously, so hybrid batch–continuous options were explored. It was found that very little additional laboratory or process safety work other than that required for the batch process was required to develop the hybrid process. A hybrid process was chosen because of the difficulty caused by the precipitation of solid byproduct during the isolation stage. While the project was a technical success, the performance benefits of the hybrid process over the batch were not seen as commercially significant for this system. Benett, Stuart (1986). A History of Control Engineering 1800-1930. Institution of Engineering and Technology. ISBN 978-0-86341-047-5. Ziegler, Gregory R.; Aguilar, Carlos A. (2003). “Residence Time Distribution in a Co-rotating, Twin-screw Continuous Mixer by the Step Change Method”. Journal of Food Engineering(Elsevier) 59 (2-3): 1–7. Major industries typically each have one or more trade magazines that constantly feature articles about plant operations, new equipment and processes and operating and maintenance tips. Trade magazines are one of the best ways to keep informed of state of the art developments. The present invention relates to crystalline forms of canagliflozin, processes for their preparation, and their use for the treatment of type 2 diabetes mellitus. Canagliflozin hemihydrate, chemically designated as (l<S)-l,5-anhydro-l-[3-[[5-(4-fluorophenyl)-2-thienyl]methyl]-4-methylphenyl]-D-glucitol hemihydrate, is indicated as an adjunct to diet and exercise to improve glycemic control in adults with type 2 diabetes mellitus. 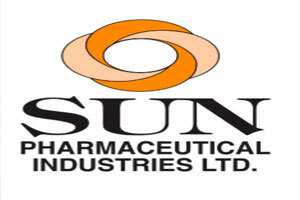 Its chemical structure is represented by Formula I.
U.S. Patent Nos. 7,943,582 and 8,513,202 disclose crystalline forms of canagliflozin hemihydrate. PCT Publication No. WO 2013/064909 discloses crystalline complexes of canagliflozin with L-proline, D-proline, and L-phenylalanine, and the processes for their preparation. PCT Publication No. WO 2014/180872 discloses crystalline non-stoichiometric hydrates of canagliflozin (HxA and HxB), and the process for their preparation. PCT Publication No. WO 2015/071761 discloses crystalline Forms B, C, and D of canagliflozin. Chinese Publication Nos. CN 103980262, CN 103936726, CN 103936725, CN 103980261, CN 103641822, CN 104230907, CN 104447722, CN 104447721, and CN 104130246 disclose different crystalline polymorphs of canagliflozin. 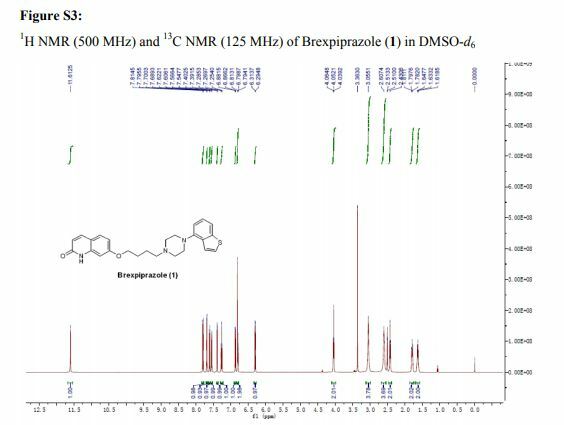 In the pharmaceutical industry, there is a constant need to identify critical physicochemical parameters of a drug substance such as novel salts, polymorphic forms, and co-crystals, that affect the drug’s performance, solubility, and stability, and which may play a key role in determining the drug’s market acceptance and success. The discovery of new forms of a drug substance may improve desirable processing properties of the drug, such as ease of handling, storage stability, and ease of purification. 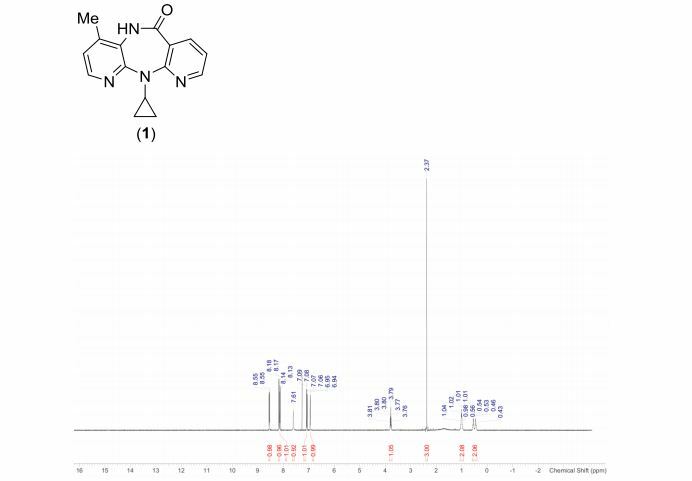 Accordingly, the present invention provides novel crystalline forms of canagliflozin having enhanced stability over known crystalline forms of canagliflozin. 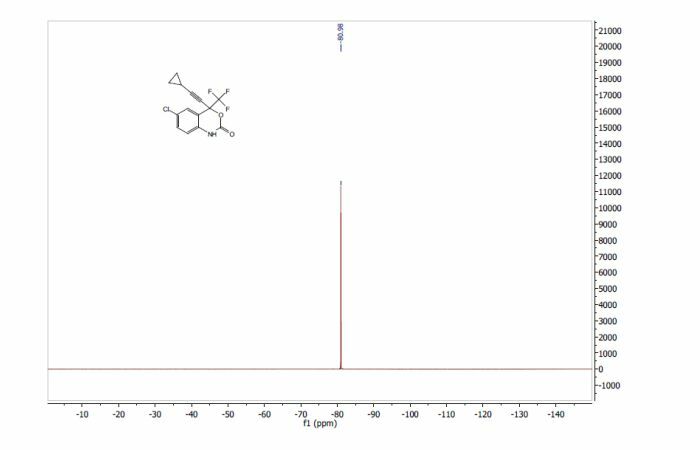 Amorphous canagliflozin (5 g) was suspended in an aqueous solution of sodium formate (80 mL of a solution prepared by dissolving 137.7 g of sodium formate in 180 mL of de-ionized water). The suspension was stirred at room temperature for 20 hours to obtain a reaction mixture. De-ionized water (100 mL) was added to the reaction mixture, and then the reaction mixture was stirred for 1.5 hours. De-ionized water (50 mL) was added to the reaction mixture, and then the reaction mixture was stirred for 30 minutes. The reaction mixture was filtered, then washed with de-ionized water (300 mL), and then dried under vacuum for 12 hours to obtain a solid. The solid was further dried under vacuum at 60°C for 6 hours. Amorphous canagliflozin (5 g) was suspended in an aqueous solution of sodium formate (80 mL of a solution prepared by dissolving 137.7 g of sodium formate in 180 mL of de-ionized water). The suspension was stirred at room temperature for 20 hours to obtain a reaction mixture. De-ionized water (100 mL) was added to the reaction mixture, and then the reaction mixture was stirred for 1.5 hours. De-ionized water (50 mL) was added to the reaction mixture, and then the reaction mixture was stirred for 30 minutes. The reaction mixture was filtered, then washed with de-ionized water (300 mL), and then dried under vacuum for 12 hours at room temperature. Canagliflozin hemihydrate (0.15 g; Form Rl obtained as per Example 1) was suspended in de-ionized water (3 mL). The suspension was stirred at room temperature for 24 hours. The reaction mixture was filtered, then dried at room temperature under vacuum for 5 hours. (2000 mL) was added to the reaction mixture, and then the reaction mixture was stirred for one hour. De-ionized water (1000 mL) was added to the reaction mixture, and then the reaction mixture was stirred for another one hour. The reaction mixture was filtered, then washed with de-ionized water (6000 mL), and then dried under vacuum for 30 minutes to obtain a solid. The solid was then dried under vacuum at 30°C to 35°C until a water content of 8% to 16% was attained. 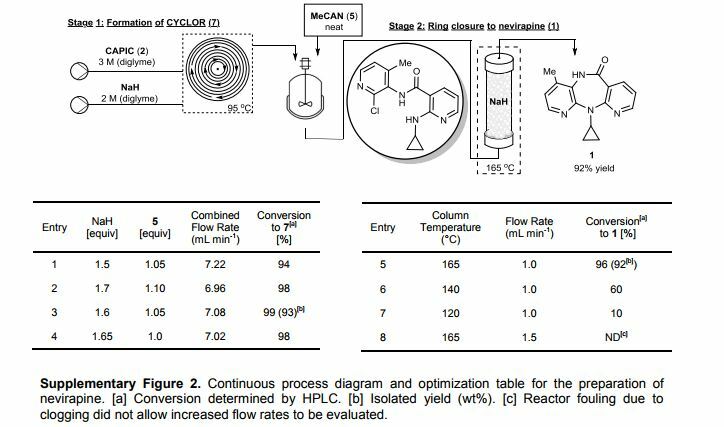 The methoxycarbonylation of cyclohexene with carbon dioxide over a ruthenium catalyst was realized in a micro flow system under supercritical conditions. The methoxycarbonylation of cyclohexene with carbon dioxide over a ruthenium catalyst was realized in a micro flow system under supercritical conditions. Instead of the toxic and flammable carbon monoxide, this process utilizes carbon dioxide, thereby avoiding issues with bulk transportation of carbon monoxide as well as eliminating the need for safety precautions associated with the use of carbon monoxide. 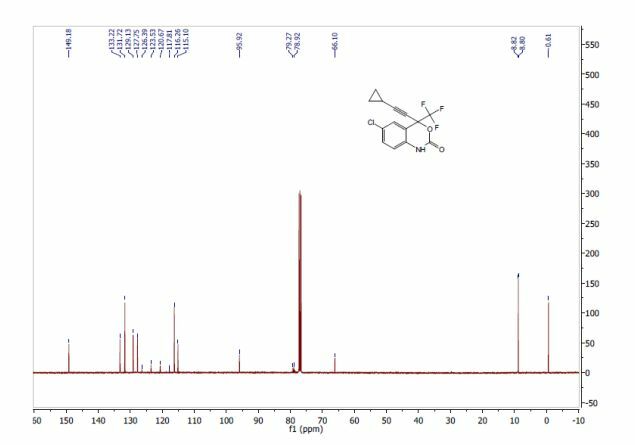 Obtained was a 77% yield of the ester product at 180 °C, 120 bar and with a 90 min residence time, which is over five times faster than for the same reaction performed under subcritical conditions in batch. An important factor for the performance of the system was to have a sufficiently polar supercritical mixture, allowing the catalyst to dissolve well. The optimal temperature for the reaction was 180 °C, as the activity of the system dropped considerably at higher temperatures, most likely due to catalyst deactivation.